Thanks, Ynnead , and no problem! Cannot wait to see what you do with that recipe . Looks good, and the upward position of the Eel works really well. Thanks, Mage, always value your feedback . I actually kind of messed up, because I started working on the musician alongside this Standard Bearer. Both share the same pattern and colors, but I realized yesterday that I was painting the Morrsar Guard Musician instead of the Ishlaen one (*facepalm*). Oh well, not going to start over or anything. I think after I finish the musician, I'm going to go back to painting my Namarti. 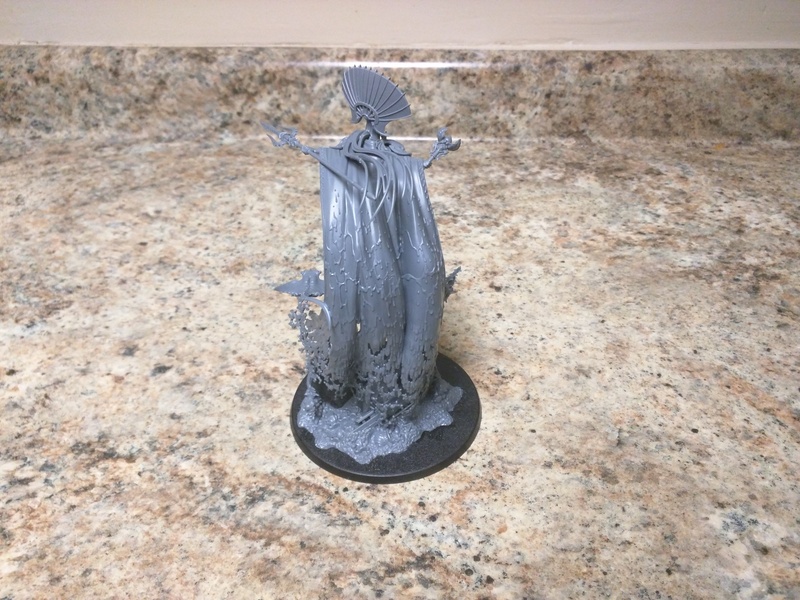 The Namarti kind of fell off the map for me , so I'm going to try to get a good chunk of them painted up I think. 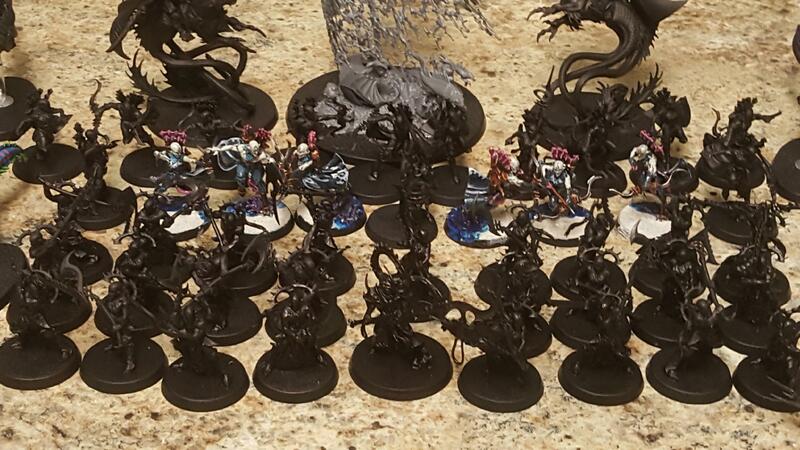 It'll be refreshing to be able to paint entire groups again, and not have a lot of detail and filigree to pick out. Found this bad boy for a decent Black Friday discount! Don't mind that original price tag written on the box! I asked for some airbrush supplies for christmas, so I think I'm going to hold off on painting this guy until I see what I've got. Sweet! 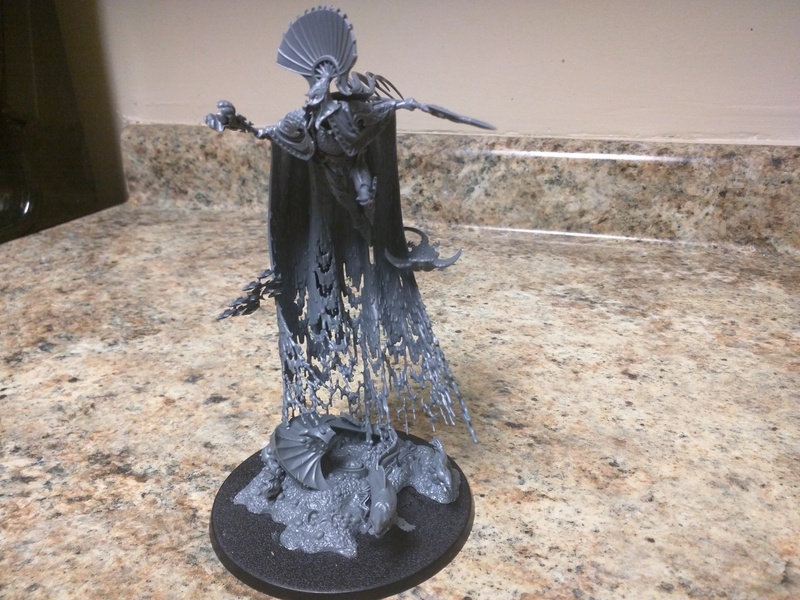 That is an absolutely awesome model, and I can't wait to see what you do with it! 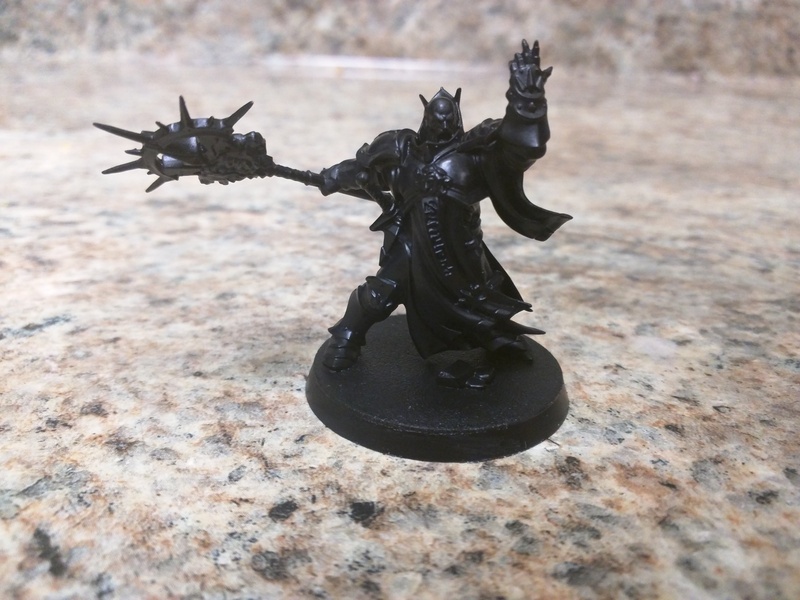 Thanks guys, still in researching stage on how best to paint this guy. Will be a while yet before I decide how to tackle him . Looks good, but yeah I'm not sure how I would paint it either. Without an airbrush I'm guessing wet blending might be the way to go for such a large area. I think airbrushing would be the way to do this model and Volturnos, I think. Hopefully I'll get that airbrush this holiday season . That is certainly one of my favourite models. I was amazed at how big it is, when I first saw one. Yeah, I think pictures on the internet really don't do it justice. I knew it was supposed to be a centerpiece model, but I really didn't know how big the model was until I began assembling it. And actually building the Eidolon was fairly simple, not difficult at all. One of the most enjoyable experiences I had putting a model together! Thanks, Dread. Living in America, I still think the prices are difficult to swallow on occasion. I cannot imagine what you guys in Australia must feel like with the prices there. You think that Games Workshop would work that out by now. Witches? 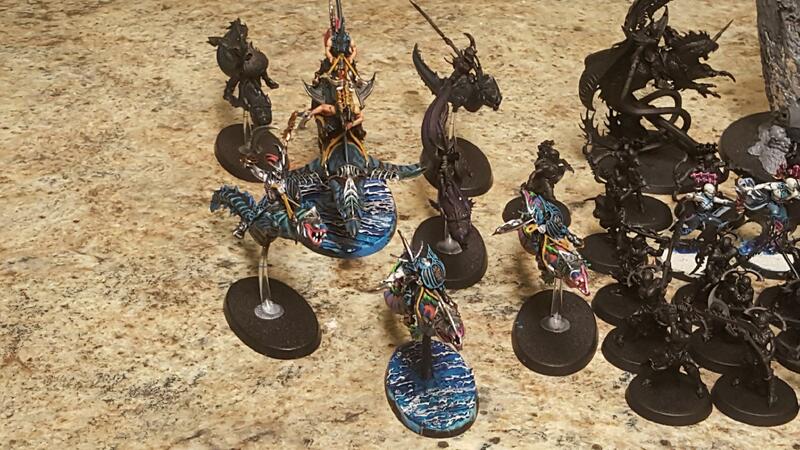 Are you playing Daughters of Khaine ? 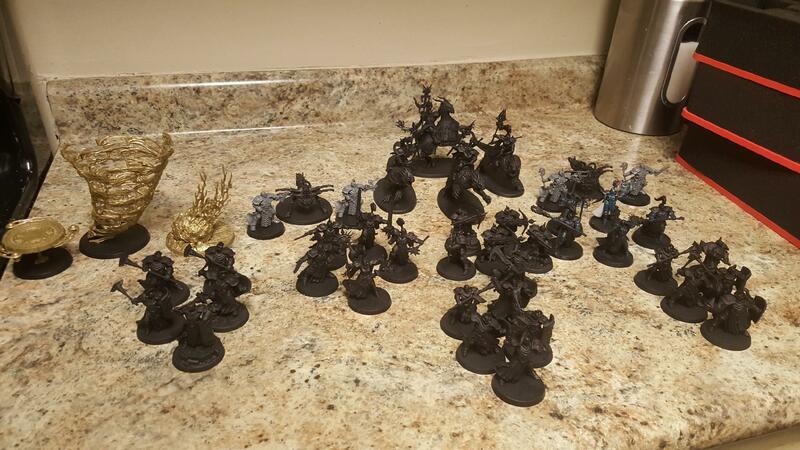 Well I used to have a huge dark elf army. Then the new witches came out and a guy offered me the right amount of money for the army. I sold most of it. I have left 20 witches, 3 hags, cauldron, shrine, sorceress and one on a dragon, a few others. I want the DoK book and the new models, soon I keep saying but soon hasn't come yet. 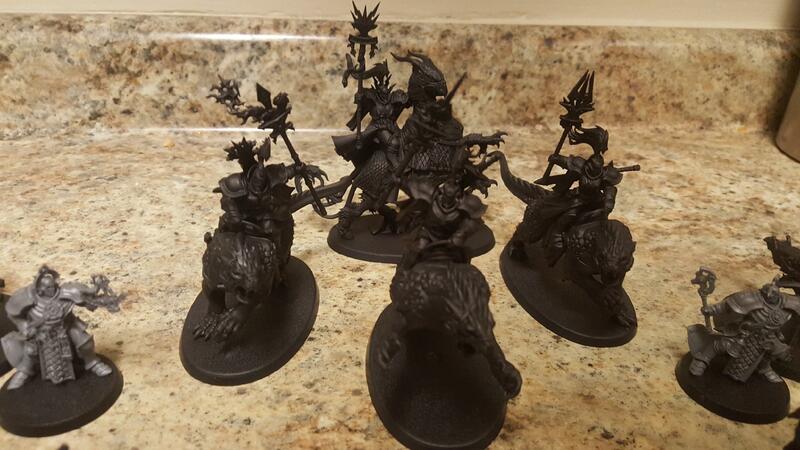 I hope to assemble the last seven witches this weekend. If I can find some hobby time. I'm not much of a converter, but I think kitbashing Wych and SoS bitz sounds possible. 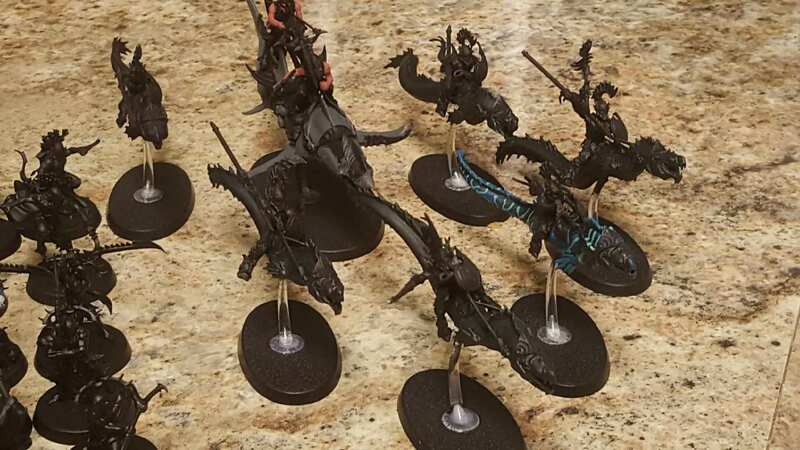 I think if you could make it work, you'd get something far better than the current Wych models for the Dark Eldar. 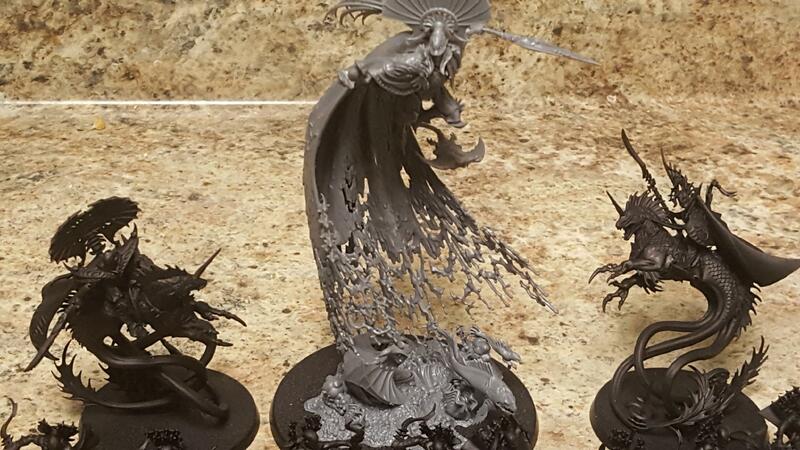 I wonder how the more slender arms for the sisters of slaughter would fit as a replacement for the muscular arms of the Wyches? Sounds like a fun project . I calculated ppoints I have on war scroll, I'm at 1200 or so with what I can use from the book. Edit: you are way correct on the arms, way to small. Grumble grumble..
Had to make a choice, buy two of the Imperial fist battlefields or finish the two AoS armies that I have. I've decided on the latter. 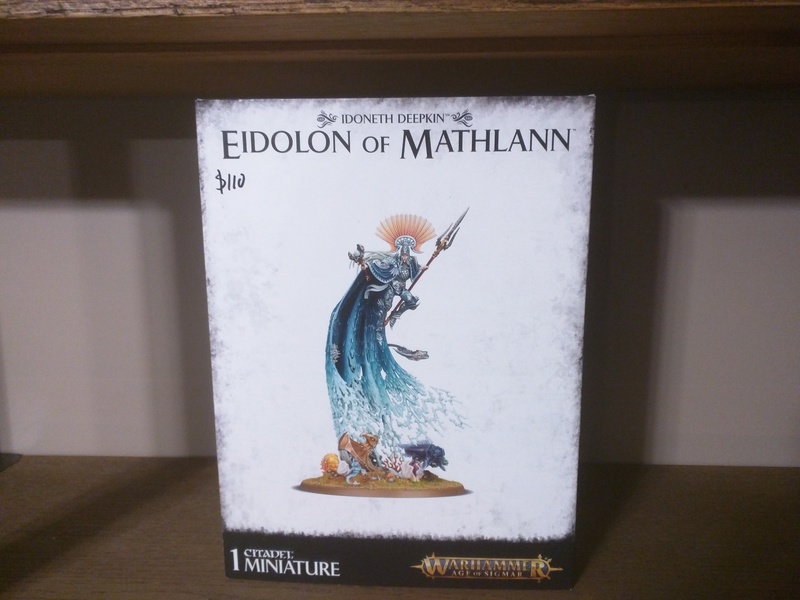 As a result, I've ordered the last kits I need and supplies to finish both armies. I've ordered another group of The alps, bringing me 35 of them. 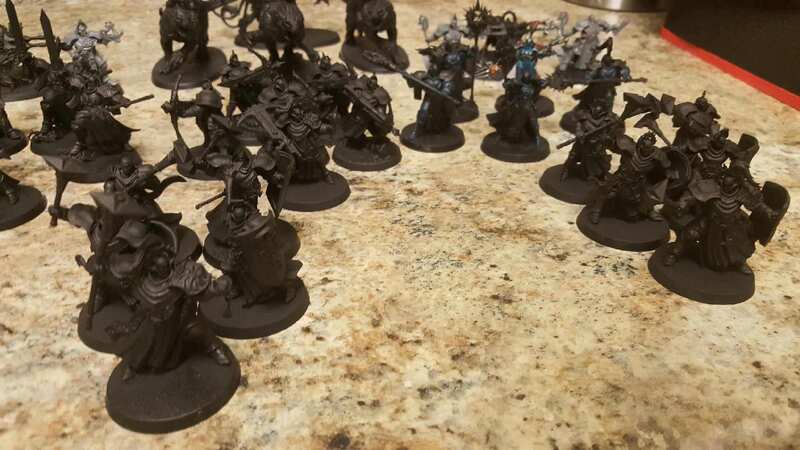 Aventis Firestrike on Tauralon, another Astreia Solbright, and might grab another Akhelian King so I can try out some airbrushing on his mount. The reaper brush on primer has dried somewhat weird on Volturnos, and he looks kind of icky lol. Reinforcements are on the way, so how about some army photos to celebrate! 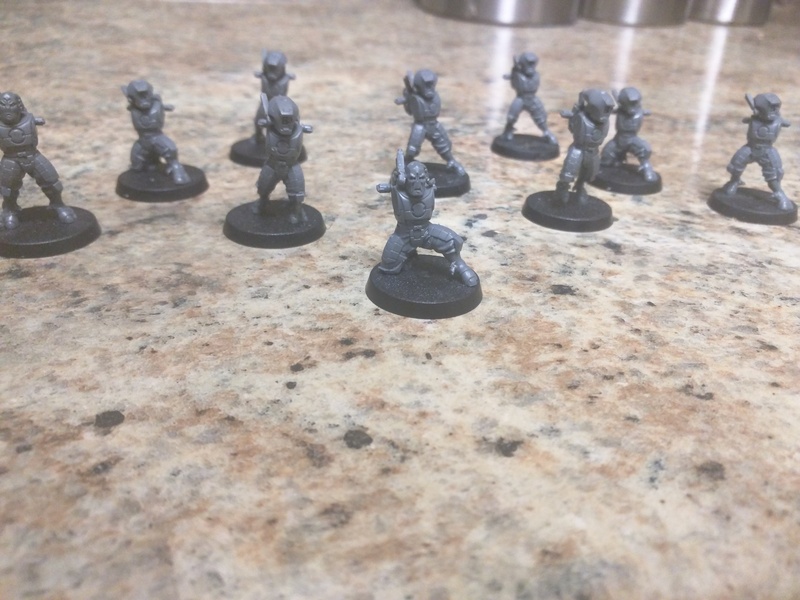 Finally assembled some Shas'la that have been in the box for months. I think the Tau Empire might be my 40k faction. Here's a pic!